AnthroTerra is developing uses for biochar, which will create sustainable and healthy soils while sequestering greenhouse gases. A significant need exists for the company is to characterise biochars that have been processed in different ways. 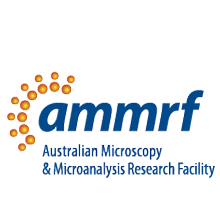 Microscopy and microanalysis solutions are provided to the company by the AMMRF at the University of New South Wales who provide a post-doctoral researcher and a PhD student through an R&D contract.